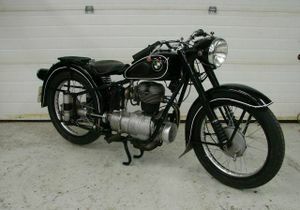 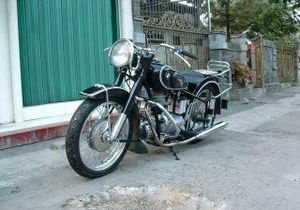 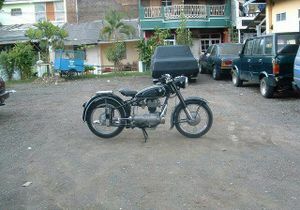 The BMW R25 was a motorcycle made by BMW. 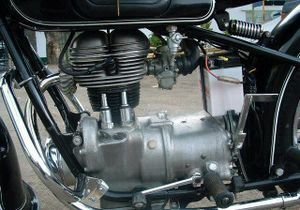 The idea behind the long inlet tract, starting at the front of the bike just beneath front right hand side, of the fuel tank, was to add horsepower. 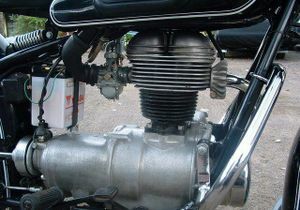 The air filter and choke let air into that long, curved pipe, and that long induction system actually boosted performance. 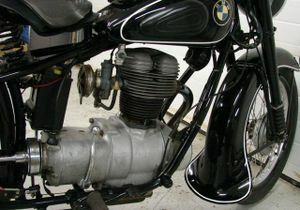 BMW had been making airplane engines throughout the war (a lot of them based on Pratt and Whitney double-wasp radials, built under license, and BMW did what Opel did during the war; paid their license fees regularly to the American companies entitled to the license fee per unit), so BMW knew about extracting power by tuning induction tracts. 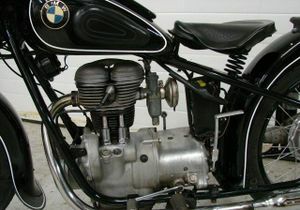 There was even an experimental single cylinder-engined bike made by BMW using the cylinder and cylinder head from a Pratt and Whitney double-wasp radial. 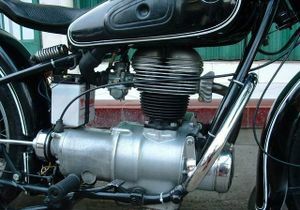 That bike had churned out even more power! 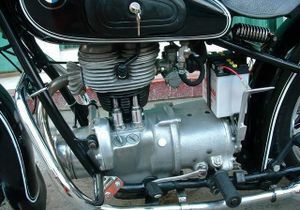 As another (useless) fact: the R25 engine is exactly half an R50 boxer twin; same cylinder and head, valve gear and so on. 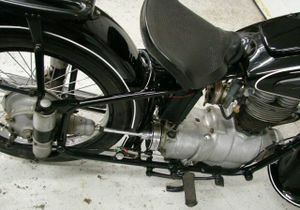 An improved R25/2 version was introduced during 1951 incorporating a stronger crankshaft and minor revisions to the front mudguard stays and seat springing. 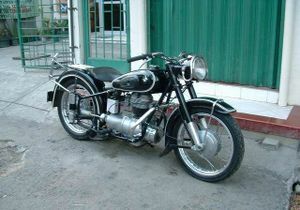 Built between 1953 and 1956, the final R25 variant - R25/3 - featured a new telescopic front fork, full-width alloy hubs and alloy wheel rims as the principal upgrades. 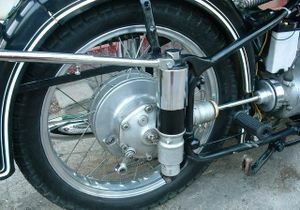 The R25/3 has a very low first gear. 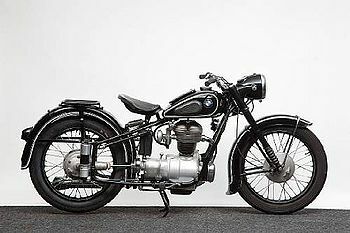 Most German motorcycles of that time had the first three gears fairly close together, with fourth set a long away as a sort of overdrive. 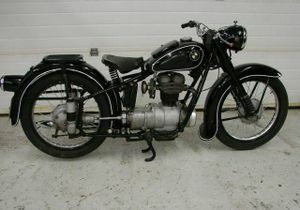 Herr Hitler had his country liberally equipped with autobahns, and there were also mountains and towns to deal with! 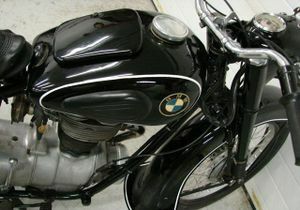 One of the main reasons for the BMW R25's lack of sales success in Britain when it was new was the bike's relatively high price. 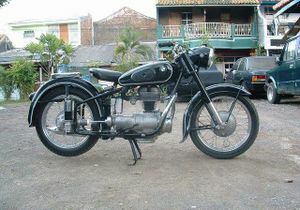 It cost £228 in the UK, at a time when the BSA C11G cost just £150. 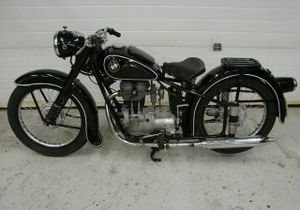 This can be traced straight back to the government of the day which, for better or worse, insisted that foreign luxury goods coming into the UK should be subject to an horrendous punitive import tax. 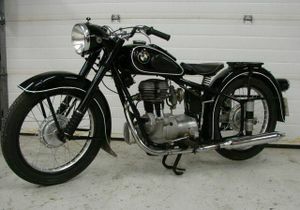 The price of the 250cc BMWs in Europe - the land mass the other side of the English Channel - was totally different, which is why they were so popular and the factory could sell every one they built. 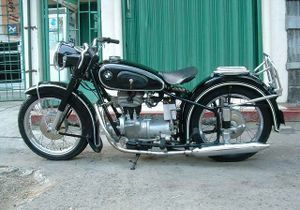 During the period of 1951-53 BMW produced over 38,000 R25/2 machines which gained a reputation for their reliability and quality. 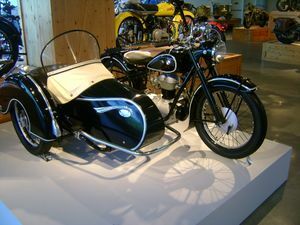 The Steib sidecar was also a product of postwar Germany and had a similar reputation for quality. 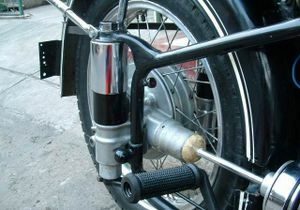 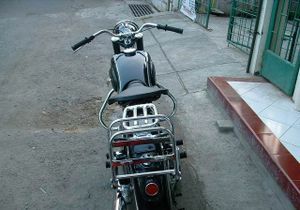 This model was specifically designed to be attached to the R25. 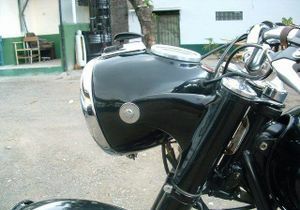 The mirror spot lamp combination is a rare accessory. 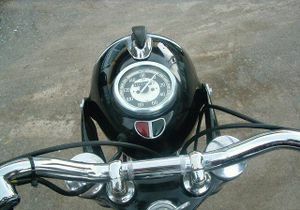 This page was last edited on 20 January 2011, at 19:50.